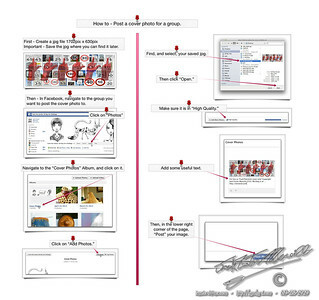 This is a little tutorial I put together for a group I am a member of. Now, we are all starting to put up cover images, and we expect the administrator to change the image as our administrator sees fit. But, at least, we have given her/him a choice. 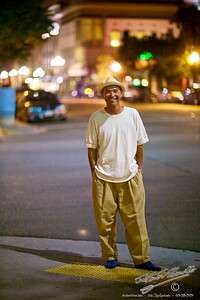 This past Thursday evening, Alexander Salazar Fine Art brought Walter Redondo, and his art to the Zanzibar Cafe. The art remains on the walls. … Pop on down for a cup-o’-Joe and a bite to eat, while you check out Walter’s art. 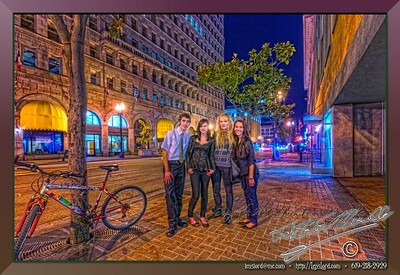 You will have a good evening in the San Diego Gaslamp district. The evening was filled with snacks, a little wine, and many interesting people. Walter brought his family. They were wonderfully happy, taking it all in. Link to -> The complete gallery of the evening. iPhone Panoramas are cool. … And easy. I love my little iPhone, and the eight megapixel camera it contains. I sometimes use it for photos that I will actually use in one way or another. … I like some of the filters I use with it, and I will use many images to stitch together a complete Panorama, or, in this case, I also love the built in ability to do its own Panoramas. 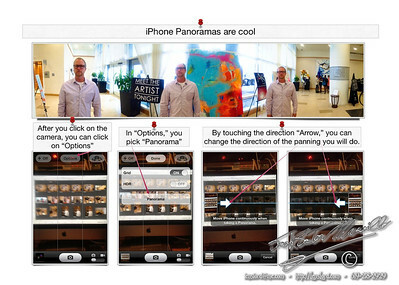 Click on the photo to the right and you will see a large version that will explain some aspects of the iPhone Cameras Panorama ability. 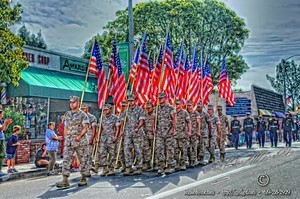 Memorial Day, in a small town. My father was a Marine. I was a Marine. We lived the Marine Corps life from before I was born. After growing to adulthood in the Military, I know it is a life I wish for all mankind. You will actively be taught new things. You will be given responsibilities way beyond of those of your non military peers. You will learn to love and honor your friends, your family, and life generally. And, you will protect those things you honor. Even protect them with your life, as so many have done before. Some people think that the military types want, and even enjoy, war. Nothing could be further from the truth. Those people in the military are much closer to their friends moment by moment. They spend 24 hours a day with each other, and they know very deeply in their hearts how much it hurts having a friend die. They know it every day. The only people who feel this as deeply as those in the militaries, are the parents, husbands, and wives of the fallen. They also understand why they do what they do. From the first pledge in 1892 through all changes until 1954, all the pledge versions united the citizens of the U.S. of America, as equals. Then came the politicians who changed the pledge, so that they could get elected by dividing the people. The Last Good Pledge-1924-1954, the one I recite, always, in honor of the citizens of my country, and what our soldiers have fought for. We’re having a conversation here. … You need something? I love animals. And they love me. 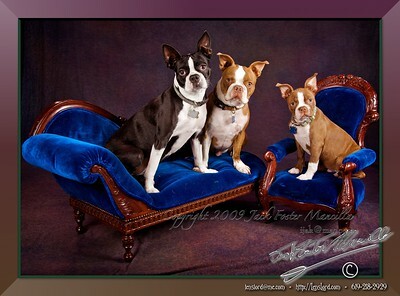 Here is a single image of some Boston Terriers that I talked into sitting on my little furniture. My niece gave me the furniture as props to shoot pets with. If you wander through the larger gallery, you will see some very cool shots. All these gallery shots were taken a while ago, and I have become much better at my work through the passing of time. I think it would be great good fun to shoot another thousand pet photos. Last June, when Charlene was working as an apprentice at the Alexander Salazar Fineart Gallery, she started a closed Facebook group for a small set of friends. For the most part, the group consists of friends that like to don a mustachioed persona upon occasions for fun. … She invited me to join, even though I have a built in mustache. 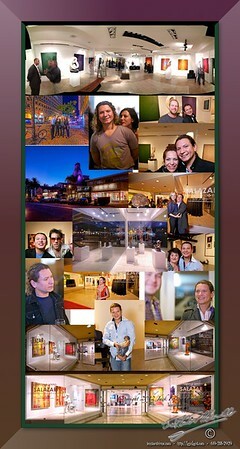 The Alexander Salazar Fine Art Gallery – A History of Sorts – 48 openings. For almost a year, I have been shooting events for Alexander Salazar, for his Fineart gallery at the corner of 7th and Broadway, and at the Contemporary White Box gallery, between Broadway and “C” street, also on 7th avenue, and most recently, his exhibit space in La Jolla. … Inadvertendtly, the collection of galleries create a reverse chronological history of those events. These events include Dancing Downtown, his one year anniversary party, and his White Birthday party downtown. They also include events at the Hilton Bayfront hotel. You can go and meander through the past year, and you can find all the events that you attended, by name and by date. This is a link to a single page with all the galeries in reverse order. Link to the 48 Galleries.